Over the past couple of years Adam has become more interested in painting on location or ‘en pleinair’ in the open air. 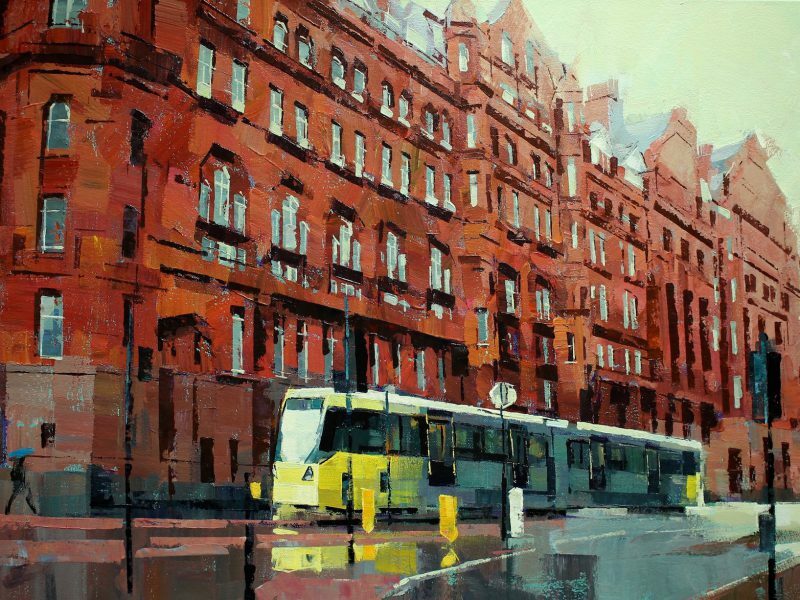 His work most often depicts his home of town Blackpool, England’s best known seaside resort! Painting on location is full of distractions making it a real challenge, but huge rewards when a painting works for you. He can easily stand in one spot painting for 4-6hrs, so the end painting is an accumulation of that period of time rather than a single snapshot as a photo would be. 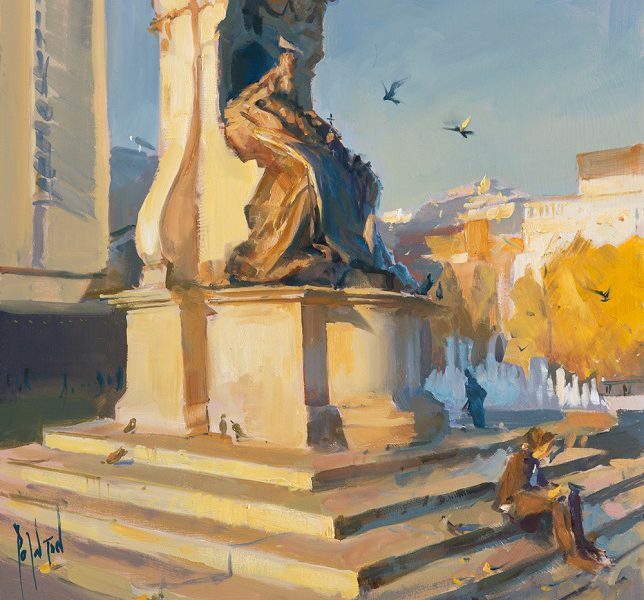 He most often likes to start and finish a painting in one go (alla prima), but that’s not always possible especially if it’s a larger painting. Adam will come back another day and time and in similar weather conditions until his painting hopefully works! Adam was originally influenced by artists such as Euan Uglow & William Coldstream having been taught measured drawing at foundation level. 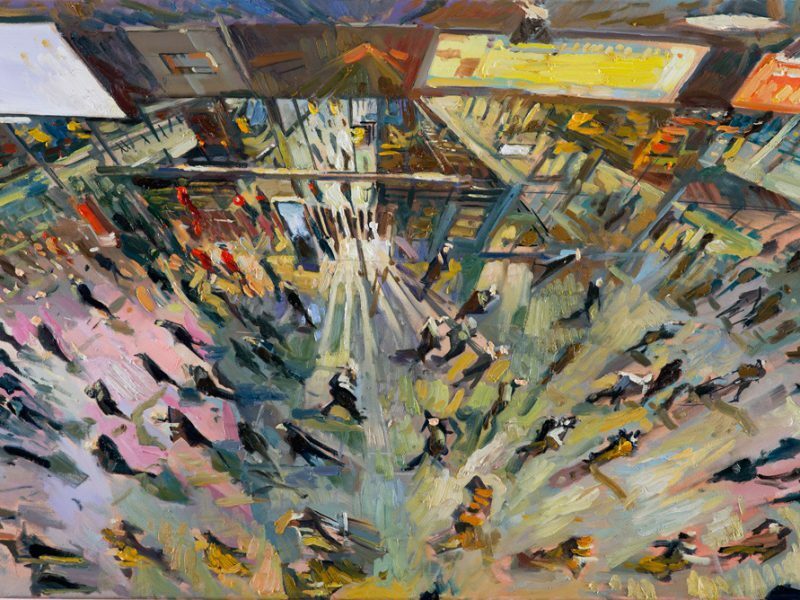 And more recent contemporary painters such as Ken Howard & Peter Brown amongst many others! 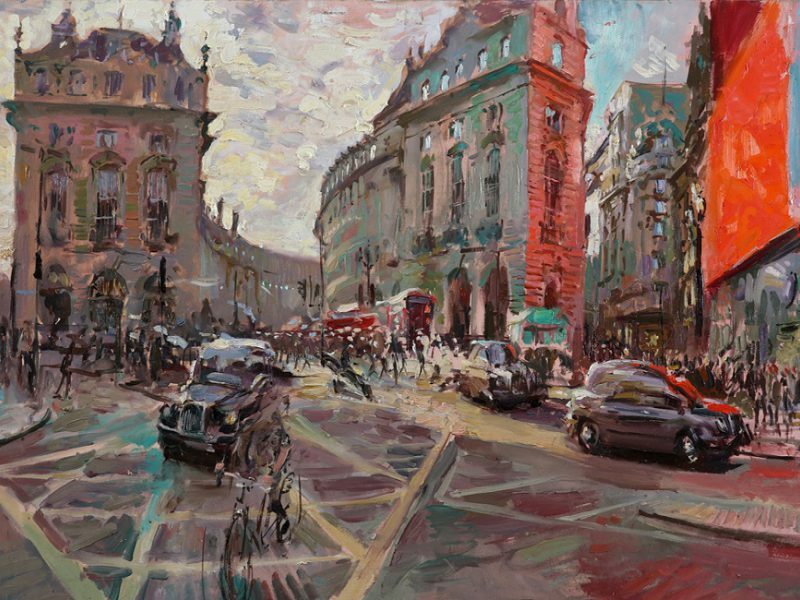 He simply paints what he sees whilst trying to keep to the drawing, and searching for the tonal values and colour. 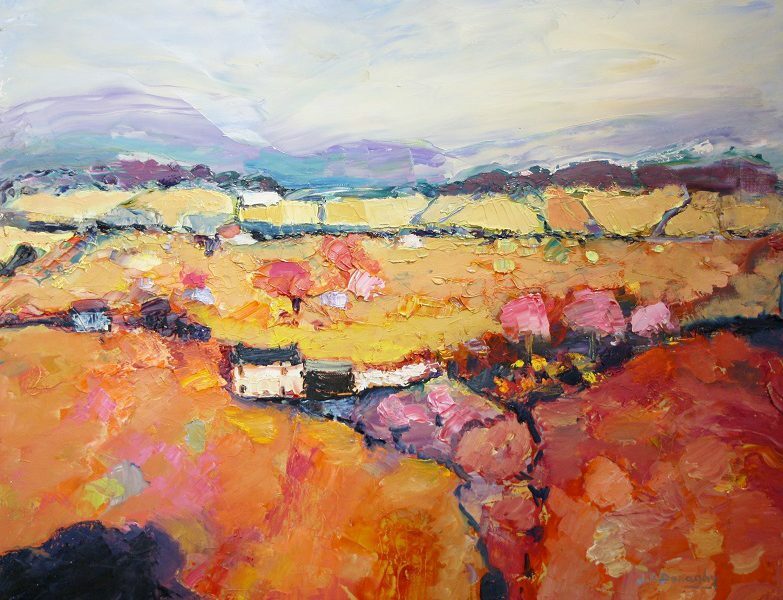 Adam keeps to the same 10 colours on his palette and mix colours the way he sees it at the time; colour and details you would never see from looking at a photograph!